Well, I know that he would have been warm if he had visited Riverview last week. We had four rubber tired skidders and rakes plus fire pots going. We began burning our woods along with the hundreds of piles of storm debris timber last week. It has gone remarkably well as the piles are so dry by now that we have not even added any diesel fuel to get them going. The areas that I have seen look fantastic, but it is going to be a slow and arduous task. We have a timber crew arriving today to begin cutting our snapped trees still standing and get them out of the way. We may not completely finish this project until August, but our goal is for you to never be able to see the results of the devastation from Hurricane Michael, and I truly believe that we will accomplish that. 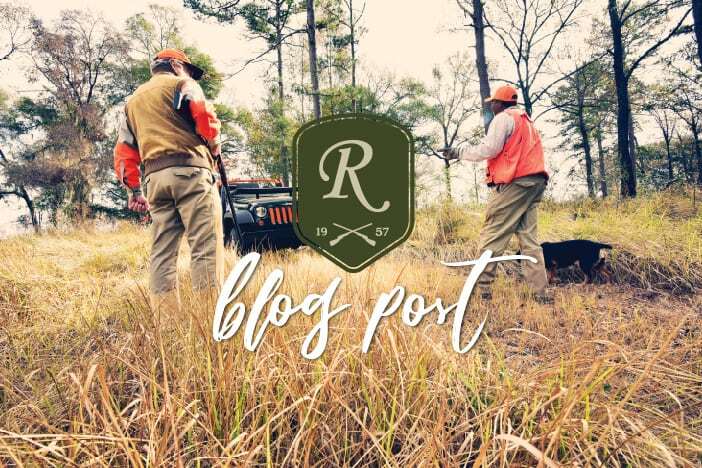 We are taking a one-year sabbatical from growing sweet corn or any other crops, and plan to devote all of our resources and people to making Riverview the premier beautiful hunting place that it was prior to the hurricane. Well, we will keep three men working on dogs full time, but everything else will be focused on our woods. We have rented out most of our Ag land, but we are getting two new small Ag projects off the ground this spring, Satsuma oranges and blueberries. Both crops will require upfront costs with a longer term payoff, but can be handled by Greg and only a couple of men in their infant stages. I know that all of the sweet corn thieves in this area who have been stealing our sweet corn are going to be distraught. We plan to put a high fence around our blueberries to keep the hogs, both feral and human ones, out, but have not found it necessary to do so with the oranges as deer do not seem to bother them, and we have a straight shooting employee who lives right at the edge of the grove. Besides that, the oranges will not produce a harvestable crop for at least another three years. I am proud of Cader IV for stepping out and experimenting with some innovative ideas. As I told him, “Be decisive. Right or wrong, make a decision. The road of life is filled with dead squirrels who couldn’t make a decision.” I have been there and done that, but I learned that it’s not always a mistake to take a leap of faith if you have studied the up and down sides carefully. Just one last thing, and it has to do with the Mueller report that came out over the weekend. Like many of you, I SO wish that our president would just keep his mouth shut sometimes. He is accomplishing some great things, but he lets his mouth get him in trouble way too many times. Then I read this quote about General George Patton that said, “If we had fired him because of his mouth, we would have lost the war.” I pray that the same is true with President Trump! I hope that all of you and your families have a very pleasant spring! I just want to close with a word of heartfelt prayer for our good friend and client, Denny, who lost his wife of 47 years this weekend. We are hurting with you, my friend!